I know, another festival related post from myself, but it’s that time of year in Austin if you haven’t noticed. Fall. 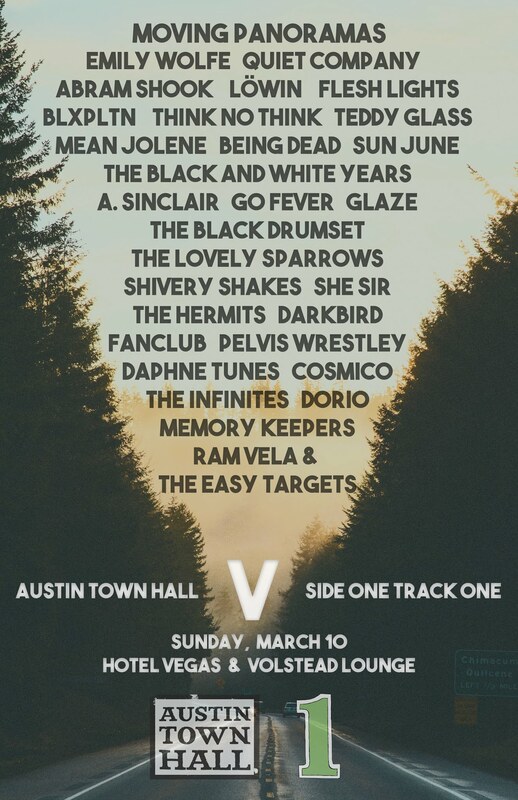 Sure SXSW rules the Spring, but Fall in Austin, Tx can have your head spinning at all of the live music options. Not only do we have ACL and Fun Fun Fun Fest, but the schedule of touring acts this time of year can be ridiculous. The festival known worldwide and sometimes confused with the television show is our kick-off to the end of the year in music for Austin, Tx, and as much as we might shy away from the fact that The Eagles are a headlining act, deep down inside it’s our festival, and a pretty cool one at that. We’re back, and just in time for free week in Austin! Where were we during this holiday season? None of your damn business! So as we get back into regular posting mode for 2010 let’s go over a few recommendations for you upcoming week of free shows. We’ll give you one, yes just one, recommendation for each night starting tomorrow. If we haven’t made it crystal clear already, all of these shows are completely free if you are 21+. Happy New Year! All times are for doors opening and not start times for music. Shows will generally start around 10pm at each venue. Please remember that this is not a complete list of free shows for the week and one can check out the Mohawk, Emos, Red 7, Beerland, Stubbs, Beauty Bar and Parish websites for a full list of shows.